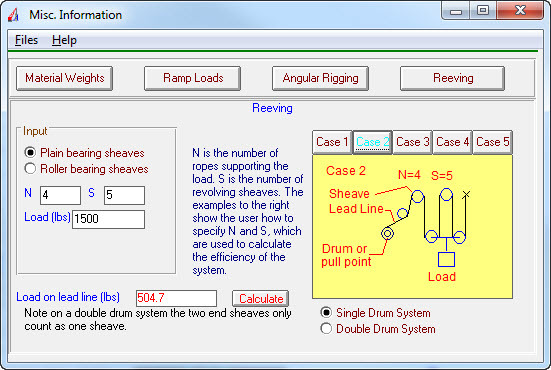 (US units only) Have a rigging question? 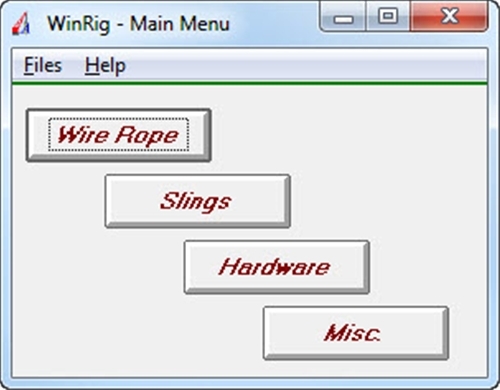 Then you need this program. 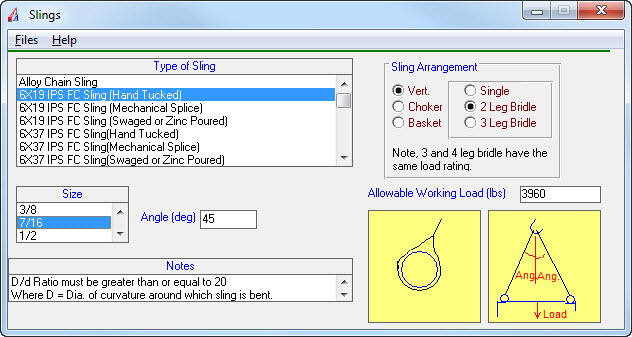 This program gives you cable, sling and hardware strengths. 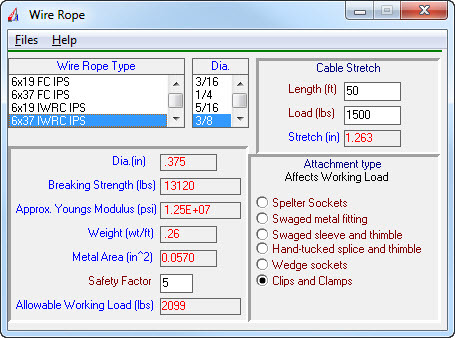 It will also give you cable loads based on various rigging configurations. Take your laptop to the field and get the job done!